UPPSC has announced RO ARO Pre Exam Result. Total 15342 Candidates qualified for Review Officer Mains Exam. UPPSC has uploaded Revised Answer Keys for RO ARO Pre Exam along with Result. Big News is that Vacancies for RO ARO Post has been increased to 809 Posts from 465 Posts. Check UPPSC RO ARO Pre Exam result from links given below…..
UPPSC RO ARO Pre Exam Official Answer Keys 2018 are available for Download Now. UPPSC has release Official Notification regarding Uploading of Answer Keys. Candidates can send Objections up to 13 October, 2018. Check Official Notice & Download RO ARO Answer Keys from link below…..
UPPSC has increased Vacancies for Review Officer Exam 2017. As per News, 200 Vacancies are increased so Total Vacancies are around 700 Posts. There are chances of Less percentage of Pre Exam Result due to Negative Marking. Before publishing of Official Answer Keys, Candidates made List of Wrong Questions/ Answers. As Per Candidates, there are Four Questions in Hindi & 2 Questions in GS are Wrong. 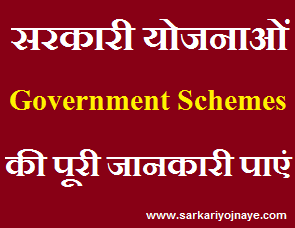 Read Full News regarding Vacancy Increment & Check Answer Key & Cut Off below…. Advt. No. : A-4/E-1/2017 dated 30.12.2017 Samiksha Adhikari/Sahayak Samiksha Adhikari Etc. General Recruitment Examination-2017 And Samiksha Adhikari/Sahayak Samiksha Adhikari Etc. Special (Backlog) Recruitment Examination-2017 Uttar Pradesh Public Service Commission has conducted Review Officer Examination 2017. This Exam was conducted for Recruitment to 465 RO ARO Posts in U.P. Secretariat, Board of Revenue, U.P. & UPPSC itself. Under this Notification there are vacancies for 1. Review Officer 2. Assistant Review Officer 3. Review Officer (Hindi) 4. Review Officer (Urdu) 5. Review Officer (Accounts). UPPSC conducted Review Officer Preliminary Exam on 08 April, 2018. First Step of Selection Process is Preliminary Exam, thus UPPSC conducted RO ARO Pre Exam in two shifts. Exam was conducted on various centres in 21 Districts. There were two shifts in exam : Morning Shift & Evening Shift. Exam was conducted under Offline Mode. 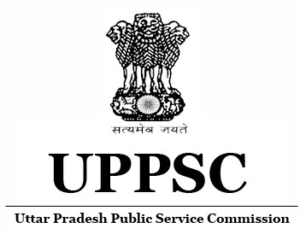 UPPSC has conducted Review Officer Mains Exam on 17, 18 & 20 February, 2019. 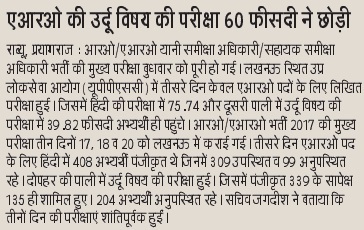 Information regarding uppsc ro aro result 2019 mains exam is provided in this article..
UPPSC will announce Review Officer Mains Exam Result on its Official Website. It is Expected that UPPSC RO ARO 2017 Mains Exam Result may announce in May/ June, 2019. Candidates need to have regular watch on UPPSC Official Portal for Information regarding Result. On Clicking that Link You will be able to Download .pdf of RO ARO Mains Exam Result 2018. After Mains Exam, Interview/ Skill Test will be conducted. UPPSC RO ARO Mains Exam Date/ Schedule/ Admit Cards will be uploaded on UPPSC Website. UPPSC will upload List of Finally Selected Candidates for Review Officer & Assistant Review Officer Post on its official website.